Your roommate Joe was giving himself a pep talk before going out on a date with his dream girl; Jack was crying after breaking up with his girlfriend. They all did this in front of the bathroom mirror, talking to themselves. 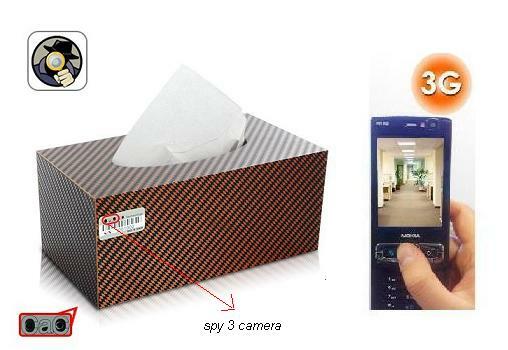 What they did not know was: your Tissue Box Spy Camera was secretly recording everything they did and said! Just imagine their reaction when you send them the video! April Fools’ Day prank of the year! If you are worried about your supplier not keeping their words, or a traffic police officer treating you abusively, this spy camera can help you by videotaping the evidence you need to protect yourself.